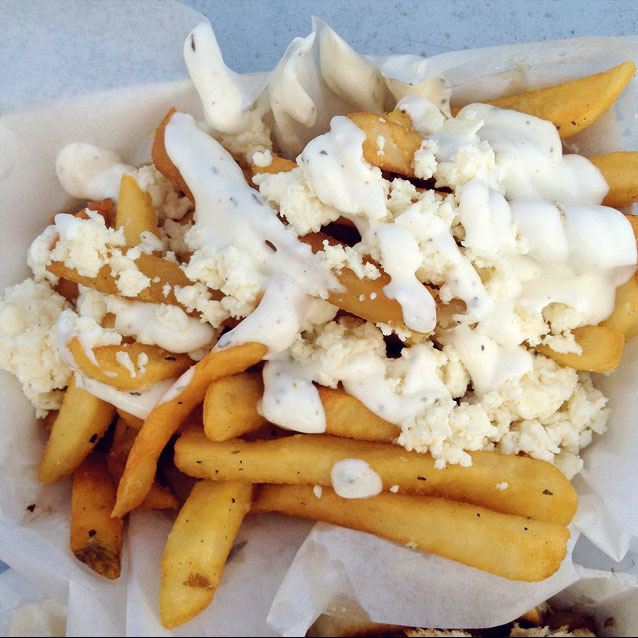 My last run with fries in 2013 was with a newer food truck called Porko Rico, the same creators of The Viking Truck. 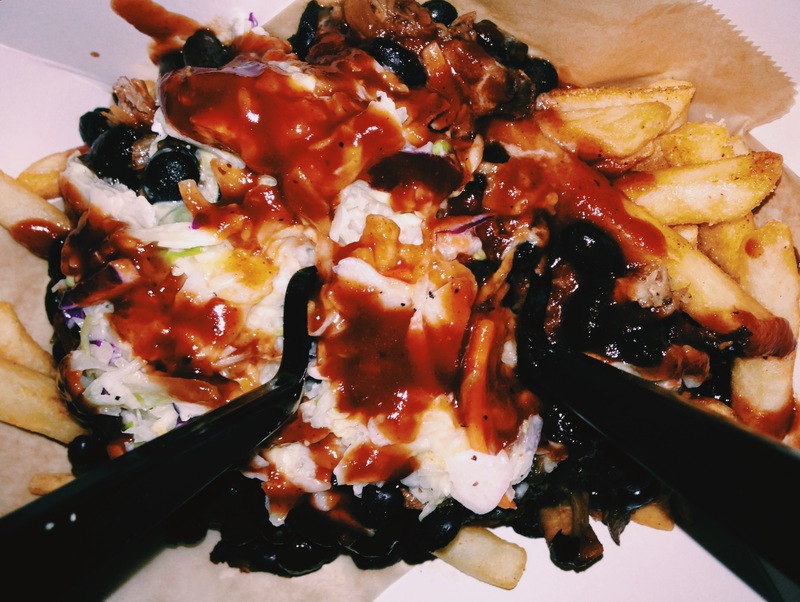 My only complaint was that I needed more fries to balance out the the pork/slaw/beans concoction to fries ratio because it was the selling point (for me). I’m looking forward to trying more dishes from this food truck like the Shipwreck Grilled Cheese and Tostones. Something a little more basic for those who don’t want a whole party happening on their fries. 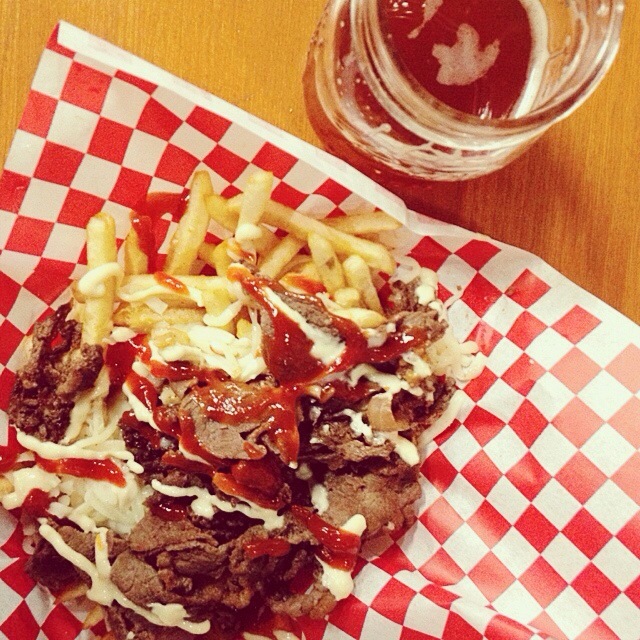 Some tasty bulkogi on some fries to go with a good beer. 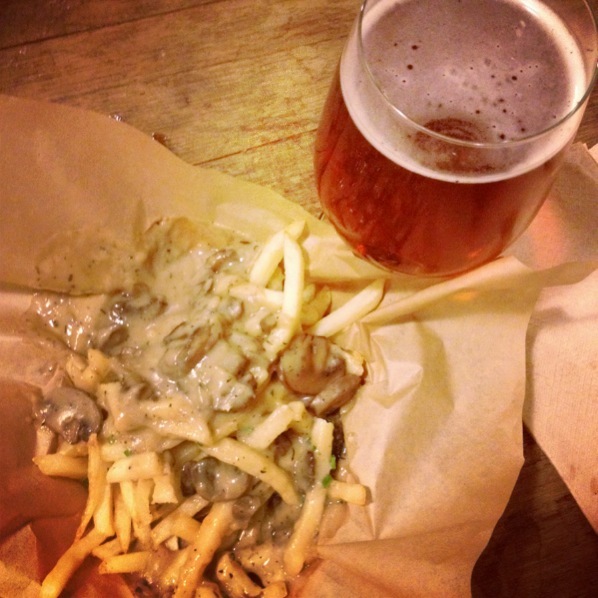 Or the vegan Gravy Fries from Seabirds food truck turned kitchen which was paired nicely with a brew from The Bruery. For those who are trying to enjoy fries and not have too much guilt about it. I mean, it’s vegan so these fries are good for you, right? Just thinking about these fries always make my mouth water. I love garlic and I love cheese, so I can’t seem to find a more viable combo.